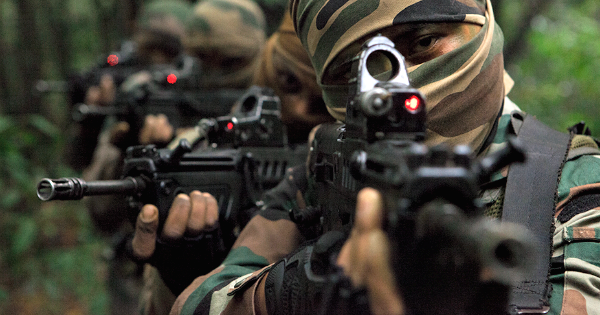 Indian Armed Forces have always brought laurels to the Nation. Their contribution in war and peace are of immense value to every Indian. To showcase the courage, valour and sacrifice of Armed Forces, ‘#ParakramParv’ is being observed from 28-30 September 2018. #पराक्रमपर्व. The government of India is all set to celebrate the gallantry showcased by Indian Army when it conducted the surgical strikes on terrorist launch pads in Pakistan Occupied Kashmir in 2016. Dubbed as ‘Prakran Parv’, the three-day event will be celebrated from September 28-30. To showcase the courage, valour and sacrifice of Armed Forces, #ParakramParv the three-day event will be celebrated from September 28-30. The main event is planned in India Gate Lawns, Rajpath, New Delh. Indian Army conducted the surgical strikes on terrorist launch pads in Pakistan Occupied Kashmir in Sep 2016. Parakaram Day has planned as mega celebration for the second anniversary of the surgical strikes. The government has announced that every state in the country is going to participate in the Parakaram Day celebrations. On September 28, PM Modi will inaugurate the event at the India gate in the national capital. An exhibition will be set up at the India Gate lawns, consisting of selfie wall and video wall. The defence ministry will be conducting the event with the army, air force and navy. 8-minute-long video of the surgical strike will be showcased during the Parakaram Day celebrations. In the events, the weapons and equipment of the Indian Army will be showcased and video clippings on the life of soldiers at LoC will be arranged for the school children. Singers like Kailash Kher, Sukhwinder Singh and Mohit Chauhan are most expected to perform during the event. It was 2016 when army’s Special Forces had carried out the strikes on terrorist camps in PoK. On Friday, 28 September 2018 Raksha Mantri Smt Nirmala Sitharaman will visit India Gate lawns, New Delhi to commemorate the inauguration of ‘Parakram Parv’ and will also interact with children. The programme will start with bugle call at 1830 hrs, thereafter, movies and photographs depicting valour & courage of the Armed Forces will be shown. Huge canvas/digital signing walls for sending messages to the soldiers will help citizens connect with them. Letters addressed to soldiers by school children will also be on the display. The event is open from 1100 hrs to 2200 hrs on Saturday and Sunday. Visitors will get the opportunity to see captured weapons used by terrorists that have been brought from Jammu & Kashmir. Military equipment like artillery guns and small arms will also be on display. On 29 and 30 September 2018 noted singers are scheduled to perform at the venue apart from the Military band.